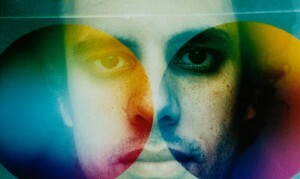 Talking with Kieran Hebden in the dawn of 2010, it’s evident that the electronic producer known as Four Tet is doing exactly what he wants to with his music and life. Throughout our conversation, this Londoner sounds genuinely enthusiastic about his work and doesn’t talk about “what if” scenarios or dwell on what he could do better next time. He has his mind situated in the present and, when asked to look back, he simply views each of his albums, EPs, and side-projects as individual pieces of his intrepid journey in sample-based music. Appearing: Friday, February 19th at Empty Bottle in Chicago. Not putting that freedom to waste, the producer’s first Four Tet album in more than four years, There Is Love In You, represents yet another angle in his mood-specific sonics. Without completely abandoning the hip-hop-leaning sound collages of his early albums Pause and Rounds, the new LP is still ultimately about gathering samples from “anything and everything” and melding them with whatever rhythm fits the feeling he’s attempting to convey. But in the past few years, Hebden’s overarching rhythmic focus has gradually shifted from a largely downtempo, broken-beat foundation to something much more lively. “All the songs on the new record are much faster and most of them have got a kind of relentless 4-by-4 kick drum, which is just not something I was doing on the older records,” he explains. Hebden cites working with seasoned jazz drummer Steve Reid for completely changing the way he thinks about percussion and much more. “My previous records have been more hip-hop influenced and working with Steve, everything kind of sped up,” he explains. What began with Hebden on his laptop and samplers collaborating with Reid on drums at a few live shows around 2005, grew into four albums within three years. The Exchange Session Vol. 1, the first of the collective works, paved way for the pair’s ensuing releases with lengthy, free-wheeling jazz numbers that challenged Hebden more than ever. This subterraneous spot with low ceilings and sparse light became the testing grounds for his new, more club-friendly Four Tet material like the curiously chill techno cut “Love Cry.” Once these tracks sounded good in the confines of Plastic People, Hebden knew if they were complete. “It’s a really traditional way for, say a dance producer, to make tracks and to try them out in their sets, but even though it’s quite a conventional thing, it was a pretty new way of doing things for me,” he explains of the ad hoc rehearsal process. Even with Hebden being known for playing unreleased material in his sets, the Plastic People crowd was initially unaware that they were getting down to Four Tet tracks in progress. “One of the nice things in trying out a new track is that you know nobody’s heard it anywhere before and having it go down pretty well and sound good over the system – those are the signs that make you feel like things are going in the right direction” he says. 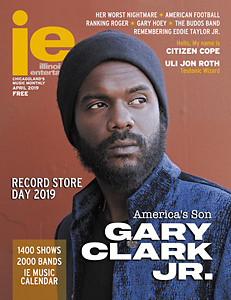 To find out more how the Plastic People sessions went, grab the February issue of Illinois Entertainer, free throughout Chicagoland.